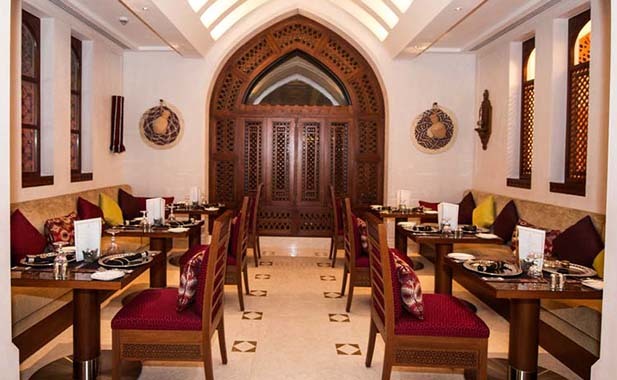 Al Angham restaurant is the first of its kind in Oman in terms of the designs taken from the Omani architecture that appear clear in the various halls and venues of the restaurant. This Hall is designed to accommodate up to ten diners and is featured for its privacy that cannot be found in another place. The chandeliers that designed as dew drops, the pearls shellfish crafts that decorate the hall together with teak wood and gold-plated silver crafts are specially manufactured for this hall. This hall is designed to accommodate up to eight diners and got its name because of the unique chandelier that mediates it. This chandelier is the first of its kind in the world where it has been manufactured from the traditional Omani silverwares like rings, bracelets and other jewelleries and is painted with the Omani original silver. 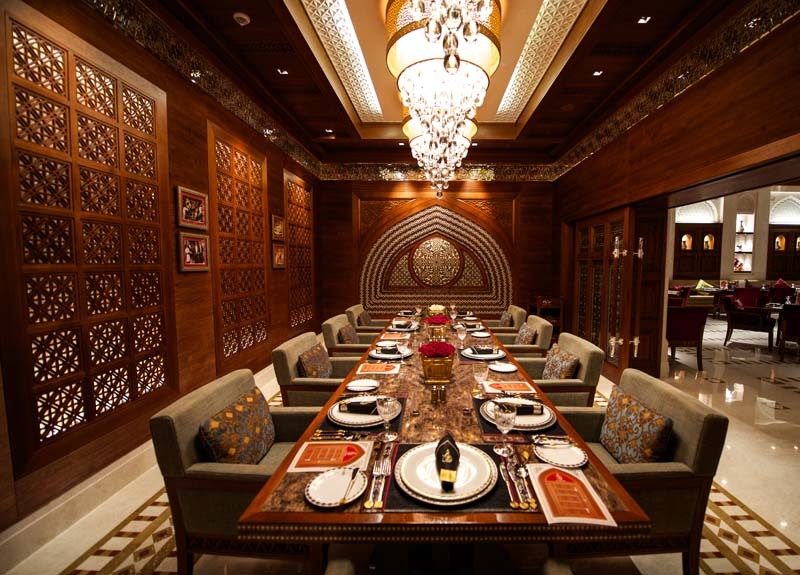 The majlis is designed to accommodates up to eight diners and is featured by the Omani traditional character where the walls is decorated with some Omani artefacts like the sword, khanjar and other handicrafts that used to decorate the Omani majlis in the past. 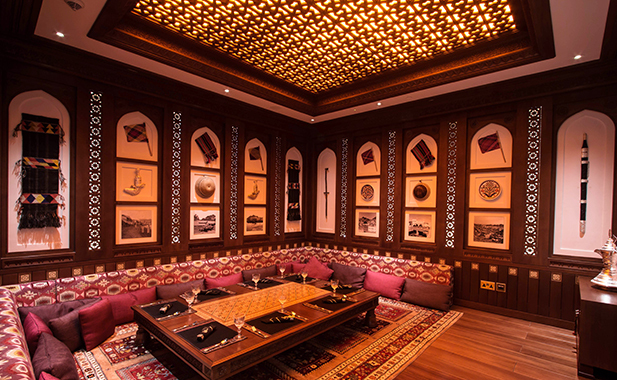 Pictures of the old Muscat, coast of Matrah, Nizwa fort and coasts of Sur are put on the wall of the majlis to give the impression of dining in a traditional Omani majlis. These photos are dated back for more than hundred and twenty years. 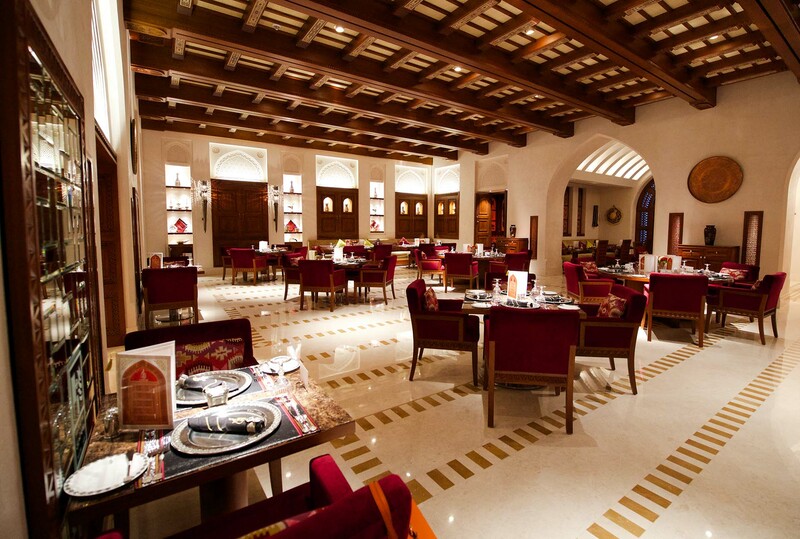 This Hall is designed to accommodate up to twelve diners. Its design is taken from the Omani forts and castles where the early morning meetings of people in front of the forts and castles’ gates in the past used to be called “Al Sabah”. In those meetings people used to discuss their affairs and conditions. 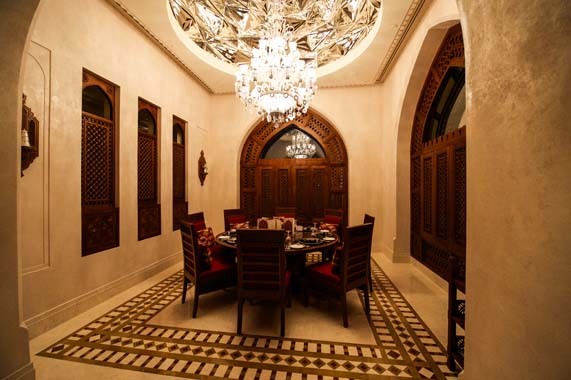 The ceilings of this hall is characterized by the patterns and motifs that taken from the Omani Khanjar belt.